There are many scenic beauties in the heart of the world, out of which the Niagara-on-the-lake within the Niagara region is by the far the most sought after. The place is an absolute splendor and its beauty has become the apple of the eyes of the visitors from all around. As a matter of fact, the town is also voted as the most beautiful place of Canada. 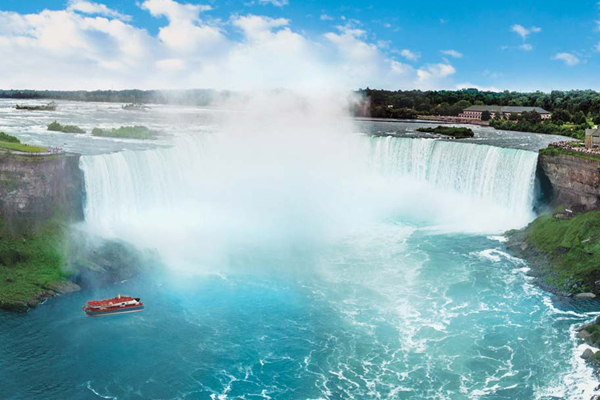 The rich cultural heritage and the history of the place have allured many to take the NIAGARA TOURS FROM TORONTO all around the year. This is the reason why hiring the TORONTO BUS CHARTER has always found its essentiality throughout the year. The Niagara-on-the-Lake has a diversified political backdrop and a rich saga of history deeply enrooted. Back in the year 1792, it occupied the position to be the first capital of Upper Canada. As a matter of fact, the first ever anti-slavery law was passed in the town in the year 1793. Also, the town visualizes beautiful monuments and world class architecture which you would definitely not want to miss. Old Niagara-on-the-Lake is a historic town with its own enigma and charm. Bakeries, restaurants and quaint little shops are a delight to the visitors here. You can easily grab a special ice cream or coffee from the Rocky Mountain Chocolate Factory or the Greaves Jams and Marmalades and shop here with all the pleasure. Horse drawn carriages hopping along the main roads are a very common sight here. They are mainly utilized to transport the tourists and the local residents from one place to another for a leisurely gallop. The Shaw Festival running from April to November is also a major attraction for the theater and art lovers. The NIAGARA TOURS FROM TORONTO seems incomplete without the shopping of the freshly produced vegetables and fruits from the local shops. As a matter of fact, if you hire the guided tour accompanied by the TORONTO BUS CHARTER, you are sure going to experience most fruitful tour amidst the historical and important features of the town.